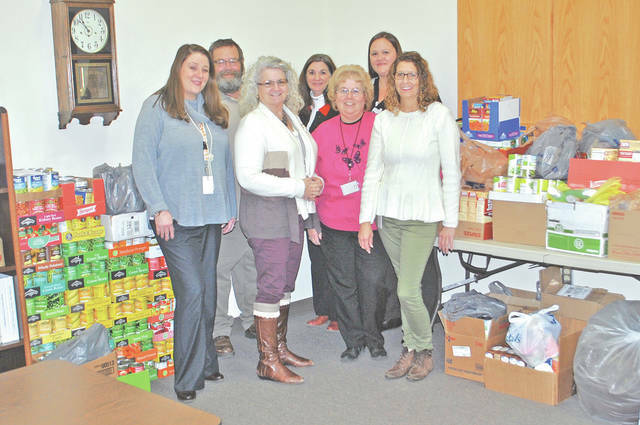 The Scioto Paint Valley Mental Health Center in Hillsboro recently won an agencywide food drive contest against the other four clinics in its five-county area by collecting 1,030 items. The agency serves Highland, Pike, Ross, Pickaway and Fayette counties. The collected items included food, hygiene products, hats, gloves and gently used coats that were all donated to Area 937 Ministries. In one photo, some of the 13 staff members are pictured with some of the items they collected. 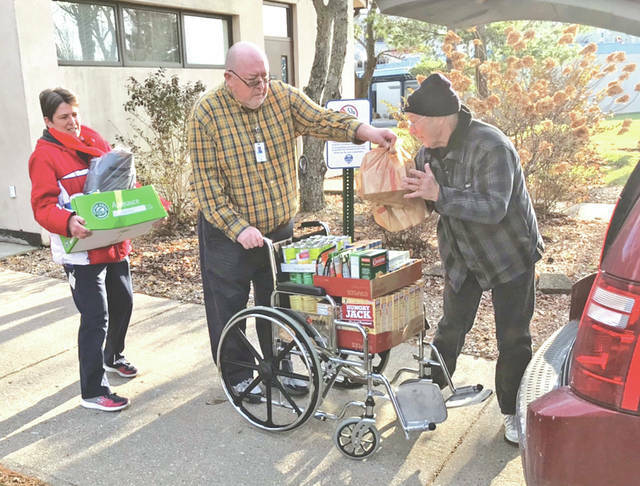 In the other photo staff members Mary Young, left, and Tom Napier, center, help Area 937 volunteer Dan McMillin load the items into a van. The Hillsboro clinic staff members include director Gena Bates, Dawn Ramey, Barb Fisher, Janet Fair, Denny Odom, Napier, Cindy Roche, Heather Preston, Lindsey Hall, Josh Oyer, Kyle Stinson, Karen Chambers and Young.